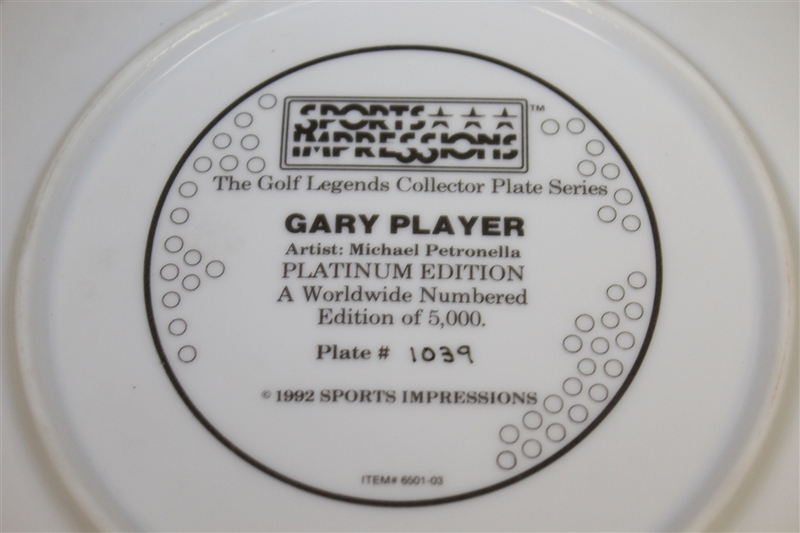 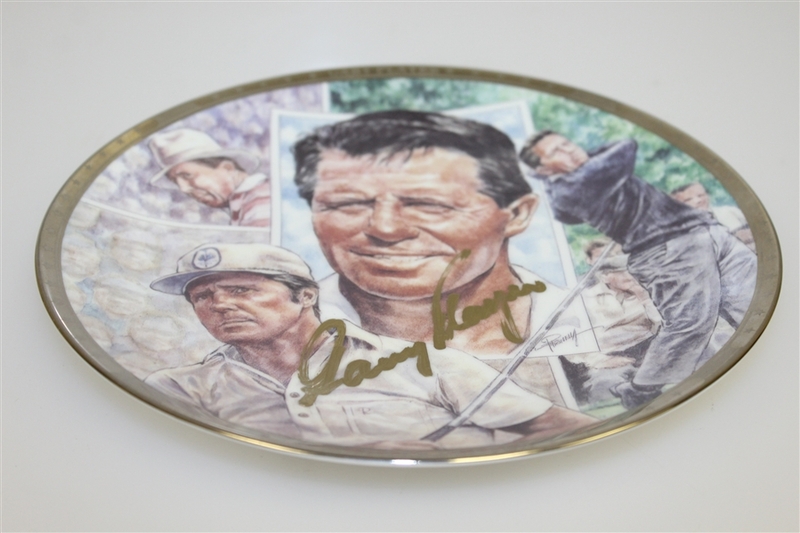 Here we have plate #1039/5000 of the 1992 Sports Impressions Gary Player commemorative plate. 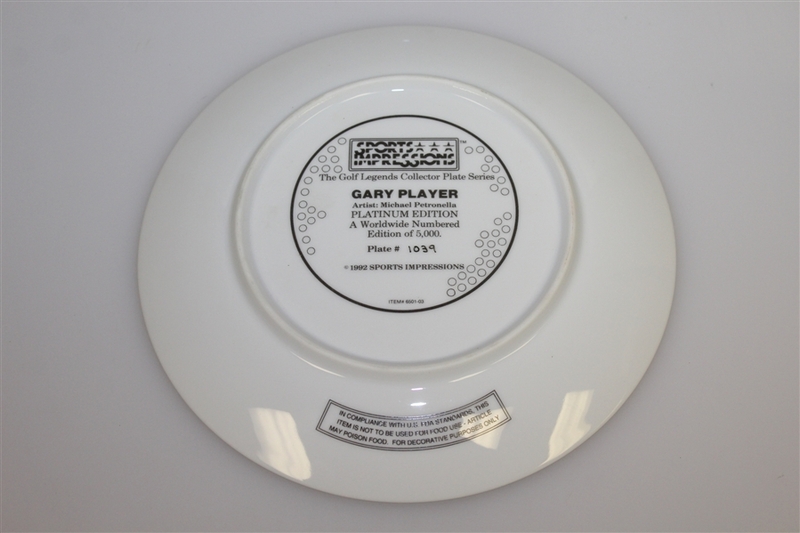 The plate comes in great condition with an 8 1/2" diameter. 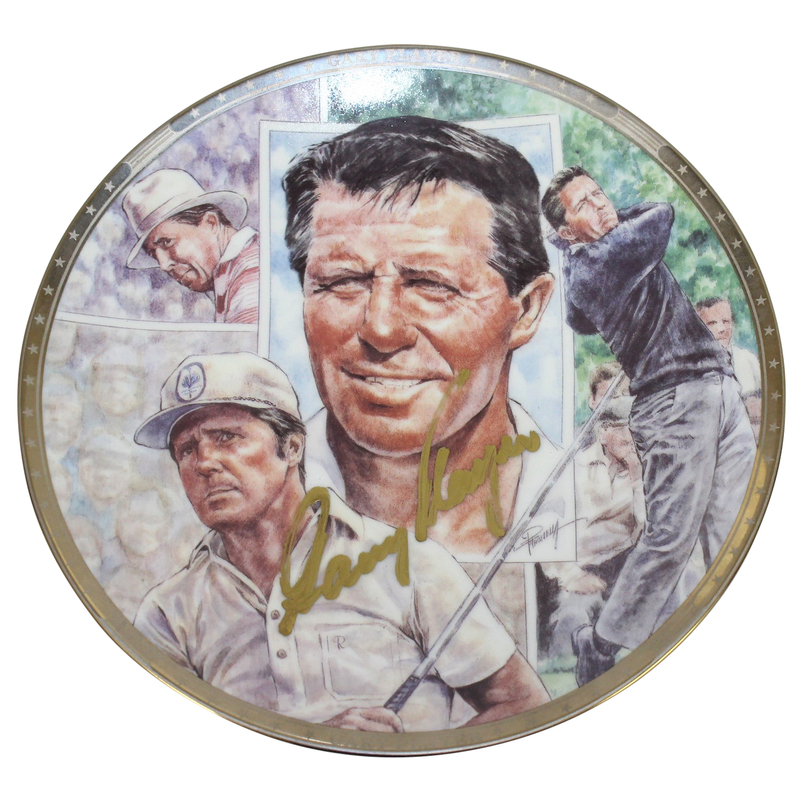 Further adding to the appeal is Player's signature in gold marker. Player is part of the "Big Three" of golf that helped make the sport what it is today, being one of the stars when golf came to the forefront of popular culture.